You hear a lot of disclaimers about currency risk in the world of overseas property investment. In fact, I often mention here that your property’s price—or your rental income—will vary with current exchange rates.But there’s more to the issue than meets the eye when it comes to foreign exchange rates. I thought I understood the concepts of currency exchange rates when I first started buying property abroad. But the reality of what they can do only hit home when I experienced a dramatic rise in my cost of living in Uruguay… and a windfall profit when I sold my house in Brazil. 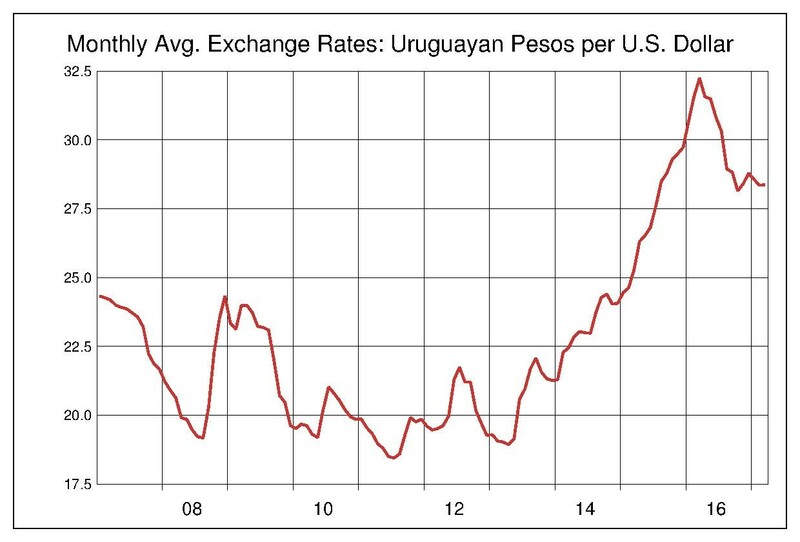 My annual property taxes in Uruguay were about 54,000 pesos. In dollar terms, this amount was US$2250 when I arrived in 2006… and went up to US$2900 in 2011 due to a weakening dollar. In Brazil, a strengthening dollar lowered the price of the beachfront house I was buying to around US$62,000… and then just eight months later, a now-weakening dollar raised my selling price on that same house to about US$110k. It was only then that I understood firsthand the impact of exchange rates on my personal finances. For this discussion, I’ll assume your base currency is the U.S. dollar, so everything here will be expressed in dollar terms. But the same principles will apply no matter what your base currency is. For example, a house costing €100,000 will cost us US$133,000 at an exchange rate of US$1.33 per euro… and only US$105,000 at US$1.05 per euro (today’s rate). That’s a dramatic difference, to our advantage in this case. A weakening dollar is best for someone who already holds a property that will eventually sell in a foreign currency. 1. What Currency Is Being Used For The Property Transaction? When properties trade in the local currency, the most obvious effect of exchange rates is the cost of your property in dollars. A strong dollar will buy more of the local currency, so you’ll need fewer dollars to come up with the purchase price. When it’s time to sell, a weak dollar is your friend, because the price you get (in the local currency) will buy more dollars back home. But not all properties in foreign countries trade in the local currency. Sometimes they trade in dollars. Of course, this is true in countries that use the U.S. dollar; like Ecuador, El Salvador, Panama, British Virgin Islands, or Turks and Caicos. But it’s also true for countries that have their own currency, yet still trade real estate in U.S. dollars. I’ve encountered this in Uruguay, Peru, Nicaragua, Costa Rica, and sometimes in Mexico… although there are many others. 2. Do You Plan To Live Or Spend Significant Time In-Country? So while a strong dollar will lower your eventual resale profit in dollar terms, it will also lower your cost of living, since your dollars are buying more of the local currency. Depending on how much time you spend in the country, your lowered cost of living could completely offset any depreciation in resale price caused by a strengthening dollar. Of course, if you’re renting, a strong dollar will lower your rental cost in a non-dollar country. The thing to remember here is that a strong dollar lowers your local expenses; a weak dollar raises them. 3. Are You Managing The Property As A Rental? If you rent your property in dollars, then your rental income will buy more of the local currency. So a strengthening dollar gives you a “raise,” helping with your local expenses. A weakening dollar gives you a pay cut… even though it’s raising the dollar value of your property at resale time. This example is from my own property in Medellín, using today’s approximate numbers. And remember, the opposite will happen if the dollar declines, which is a bit more in my favor. The value of the property is about US$170,000, and it rents for an average of US$2,000 per month, which is converted into pesos in my local account. My operating costs (utilities, HOA fees, and taxes) are about US$450 per month. But on the other hand, my cost of living (US$2,000 per month) goes down by US$2,400 per year… my operating costs (US$450 per month) go down by US$540 per year… and my rental income (US$2,000 monthly) goes up by the equivalent of about US$2,400 per year. My total savings is US$5,340 per year. So in three-and-a-half years of ownership I’d break even on the loss in value. It’s not perfect, but it’s a pretty good hedge against most of my potential loss. And it’s also a good demonstration of how the total currency exposure paints a far-different picture than simply calculating the change in property value. I realize that no one will move to another country just to hedge a foreign currency transaction. But simply having a local bank account can do some of that hedging for you. You can store the local currency in your bank, and use it to pay local expenses… and then you can exchange it for dollars when you feel the rates are in your favor. Uruguay made this easy for me, because the bank offered dollar, peso, and euro accounts… so I could move funds among the three when I felt the time was right. Crystal balls being what they are, my timing was never quite right. But it gave me an element of control that I wouldn’t have had otherwise. The same holds true here in Mexico. I’m stocking up on Mexican pesos, using my strong dollars. Today, I’m getting 100% more pesos than I could get in 2008 for the same number of dollars. You can avoid all currency risk by purchasing property and living in a dollar-based market. A strong dollar is always good when buying in a foreign currency… and a weak dollar is always good when you’re selling. 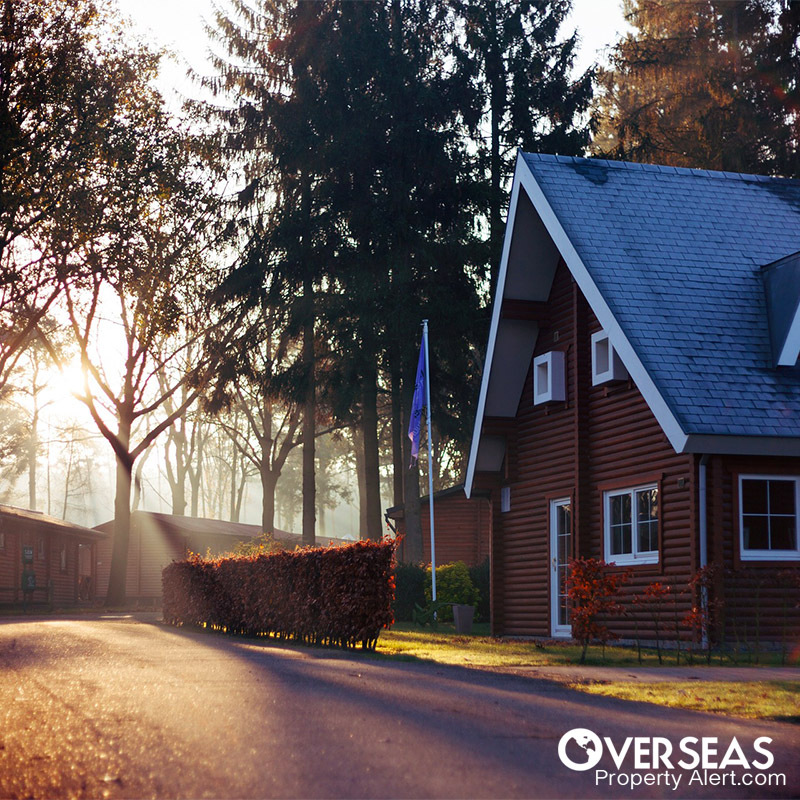 If you live or spend time in the country where your property is located, the exchange rate has the opposite effect on your cost of living as it does on the property’s value. If you’re operating a rental (in dollars) in the country where your property is located, your overall risk (or reward) to the property’s value is partially offset by your increased rental returns in local currency. Buying property that’s priced in another currency can present additional risk, but can also enhance your profits when buying property abroad. And understanding your big currency picture will help you to accurately assess your overall potential for risk and reward. … Then there is your suggestion of Medellin. As long as you can avoid the drug lords, rampant crime, and keep from being kidnapped because you are an American, then it might be survivable. Every day, I thank people like this gentleman for their diligence in sticking to the image of Medellín as described in Tom Clancy novels and the 1980s media. Nowadays, the hundreds of U.S. retirees who live here in Medellín’s El Poblado enjoy safe, clean, tree-lined streets, fine dining, outdoor cafés, and excellent medical care. We enjoy the city’s beautiful parks, entrepreneurial opportunities, great infrastructure, wonderful people, and amenities like theater, orchestra, and super nightlife. And to disagree, we “older people” do, in fact, know better. That’s why we’re here in such numbers. We are grateful to folks like Bryant—who’s obviously never been here— who hang on to outdated, 1980s stereotypes. If Medellín’s amazing lifestyle ever becomes common knowledge, property prices will be twice what they are today. I spent a couple of weeks in Puebla on a medical mission. It’s pretty much as you describe it, Lee. Puebla has good medical facilities, food and infrastructure. But you failed to mention “Popo” the active volcano which was spewing smoke and ash at the time. The volcano Popocatépetl is located about 25 miles west of Puebla. And as the second-highest peak in Mexico, it’s a prominent fixture on the western skyline. It has erupted 15 times since discovered by the Spanish in 1519, making it the most active volcano in the country. The danger zone for eruptions does not include Puebla, so you won’t be roasted alive. But if the wind is right, it’s possible to get dusted with ash, as happened in May 2013.